Sins of the Prophets Alpha v0.75 Finally Released! Wonderful news, everyone! The team behind the Sins of the Prophets, a total conversion mod for the 4X RTS game Sins of a Solar Empire: Rebellion, has just released alpha version 0.75 of the mod for public use! If you’re a Halo fan, and a fan of real-time strategy games and space combat, this mod is definitely something you’ll want to look into. I’ve said it numerous times, but the Halo series has some really amazing ship designs, but unfortunately there are very few ways to really interact with those ships beyond a few cutscenes in the games. 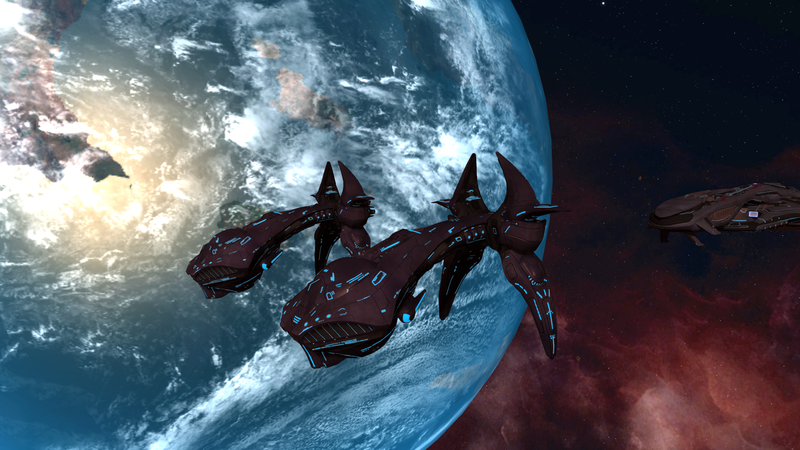 SotP allows you to control an entire fleet of these ships! Build up an empire across multiple planets, assemble a fleet, and then show those Covie bastards why you don’t mess with humanity (or, if you’re like me, remind humanity who the ordained rulers of the galaxy are). Two CPV-class heavy destroyers escorting an ORS-class heavy cruiser. These pictures are all in-game screenshots. I’m telling you, this game is beautiful! I’ve been working with the SotP team for a good year or two now (which, I suppose, makes me a part of the team as well). My main role has been voice actor (though I did some light bug-finding and game testing as well), and so you can hear me providing vocal work for a number of the Covenant ships as an arrogant Prophet (the newly released titanic OAS-class modified assault carrier), a couple of very zealous Elites (the CCS-class battlecruiser, SDV-class heavy corvette, and the relatively new ORS-class heavy cruiser, plus a few other ships besides), and one very ballsy Grunt in the Spook. 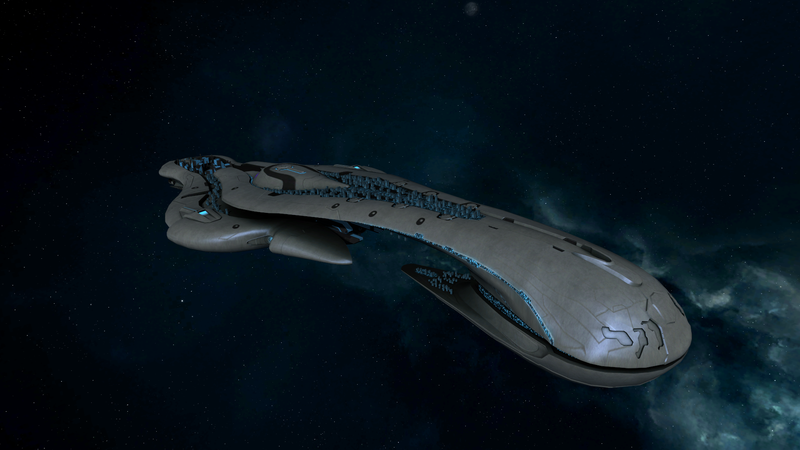 The OAS-class titan; functionally a larger, modified assault carrier designed after Regret’s silver carrier in Halo 2. This ship is over 1000 meters longer than the standard assault carrier. It’s an honor to be at its helm. The mod has a number of very talented men and women working for it. The models and textures of the ships are amazingly detailed, as you can see. Even the planets you can find in the game look amazing. Recently the team has added features such as unique ship debris, a vastly improved and unique UI, and better-than-ever engine graphics! A lot of love has gone into this game. You can download the mod here at ModDB. Remember though, that you will need a copy of Sins of a Solar Empire: Rebellion in order to play SotP. Fortunately, Stardock is having a sale right now that puts the game at 1/4th its normal cost. It’s like fate, only without the weird underage oracles tripping on poisonous plant fumes. You can pick up SoaSE:R right here. So please, support the mod by giving it a shot. And if you do, think of me when your Fleet of Ordained Enlightenment rips apart your enemy’s home world.